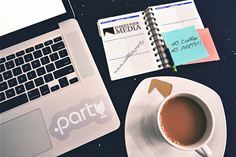 The new .PARTY domain ending has raced past 100,000 registrations in the 3 short months since its launch. This puts .PARTY firmly in the top ten new generic Top Level Domains released under ICANNs New gTLD program. In 2013, ICANN the body that oversees domain names on the Internet embarked on a massive program of change opening up the domain name space to thousands of new domain endings. Web-addresses don’t have to end in .com, .net or .org any more, now they can end in almost anything. Famous Four Media plans to launch 10 more domain extension in 2015 to complement the six domain endings (.BID, .TRADE,.WEBCAM, .SCIENCE, .CRICKET and of course .PARTY ) that it has already launched. Domain names can be registered through Famous Four Media’s extensive network of ICANN accredited registrars. A list of Famous Four Media’s accredited domain name registrars can be found here – www.famousfourmedia.com/registrars/accredited-registrars.